Schools and colleges across the city connect with Phoenix’s education programme and our new schools initiative, Silverscreen Primary Education, links film with literacy and topic studies to bring the Key Stage 1 and 2 curriculum to life. In response to changes to the national curriculum we are developing some formal Continuous Professional Development (CPD) opportunities for teaching staff across Primary, Secondary and FE phases. 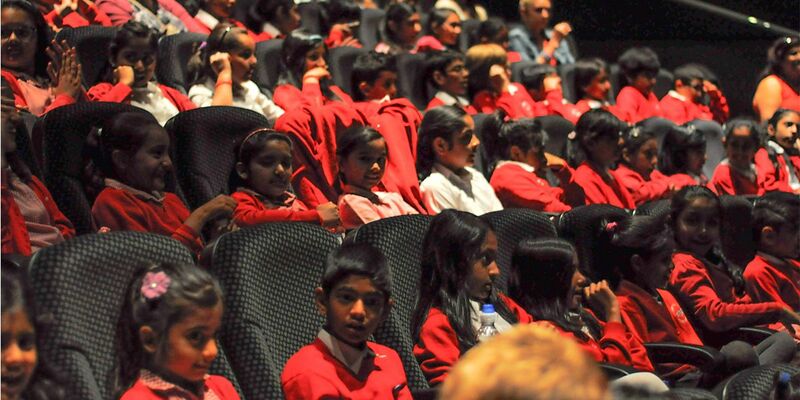 Our dedicated school screenings provide the opportunity for teachers to co-curate screenings with our Education Coordinator or bring major theatre productions and exhibitions to a young audience. For our partner De Montfort University we host undergraduate film studies lectures, exhibit student work in the Cube Gallery and offer internships. If you’d like to know more about our provision for schools, colleges and universities, please email our Education Manager using our contact form.